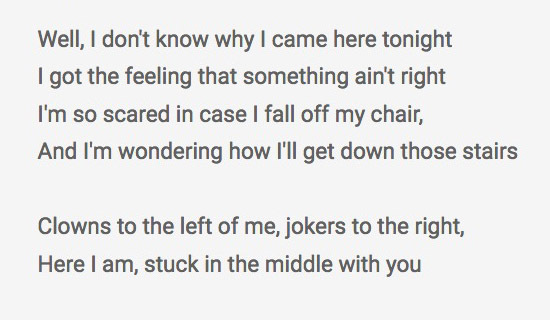 Stealers Wheel sings about Syria. This is for everyone stuck between clowns and jokers. Tonight we’ll watch two videos of clown and jokers killing each other. However, it’s not a bad thing. Call it culling. The Levant Conquest Front released a video in which it takes credit for something it didn’t do. 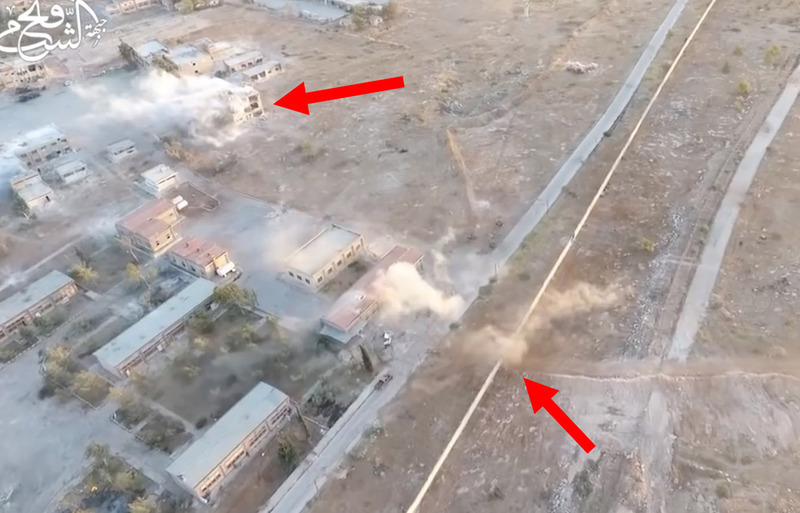 Hezbollah and the Iranian-commanded Syrian National Defense Forces have attacked the Aeronautical Technical College at least ten times. 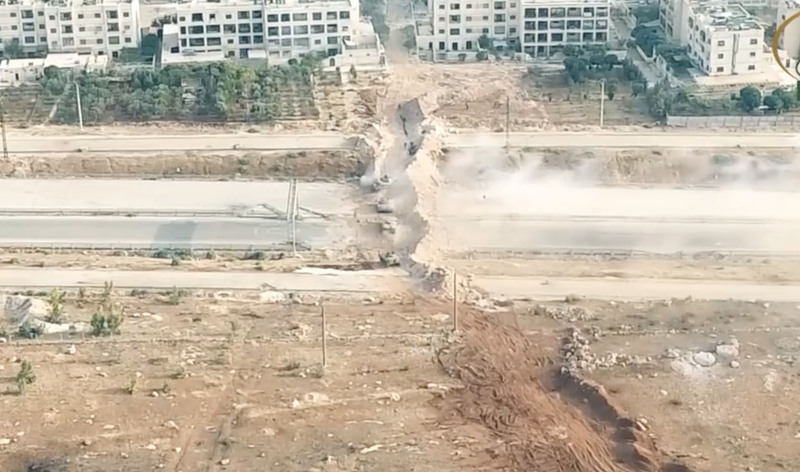 Though Assad’s allies have Syrian and Russian air power supporting them, these assaults are catastrophic failures. 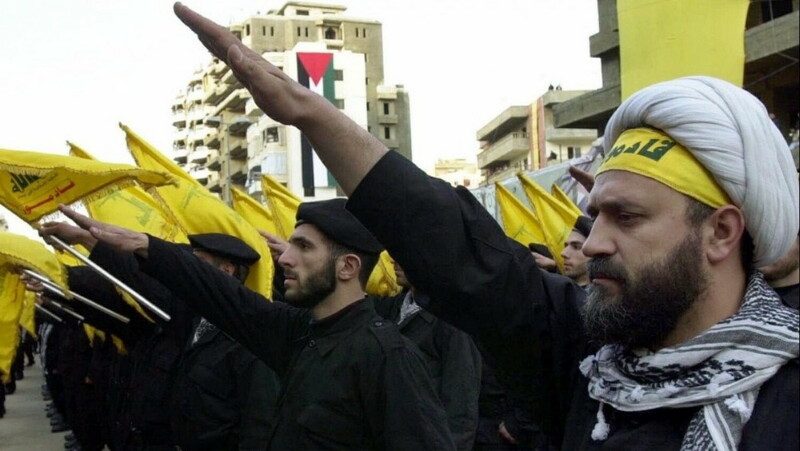 Obviously Hezbollah has no training. I’ve never seen more ineffective, suicidal tactics. On the other hand, the Levant Conquest Front is nothing but jabbering Islamist morons who waste everybody’s time. Arab League professional strategic special operators defeat Hezbollah. Then the Levant Conquest Front comes out and playacts for the camera. 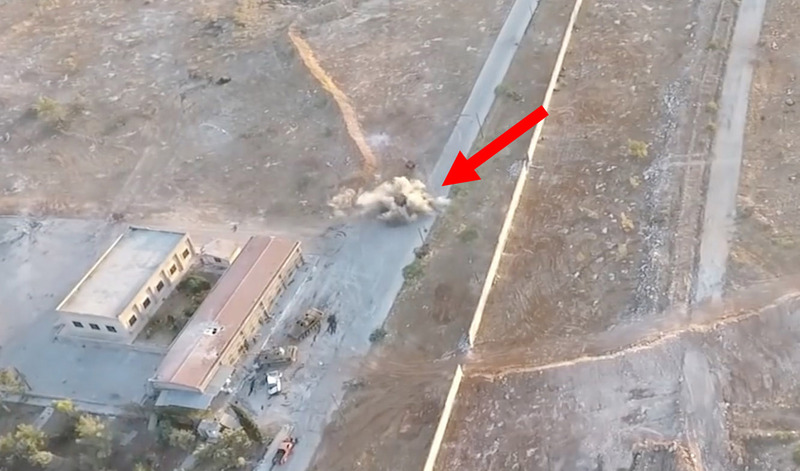 Here is a Hezbollah attack carried out on August 24, 2016. The filmmakers concealed much of the actual fighting. In addition, they rearranged the sequence of events. First, we have these vehicles. They all belong to Hezbollah. Both pickups had men in the beds. 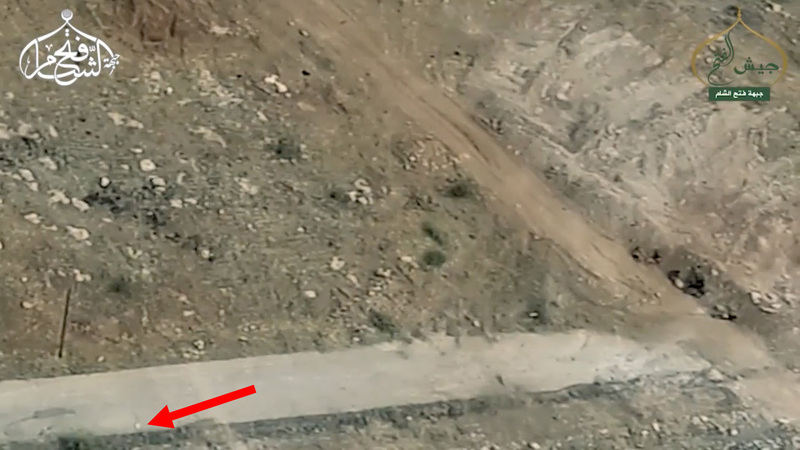 Someone demolished the vehicles with antitank guided missiles (ATGMs). 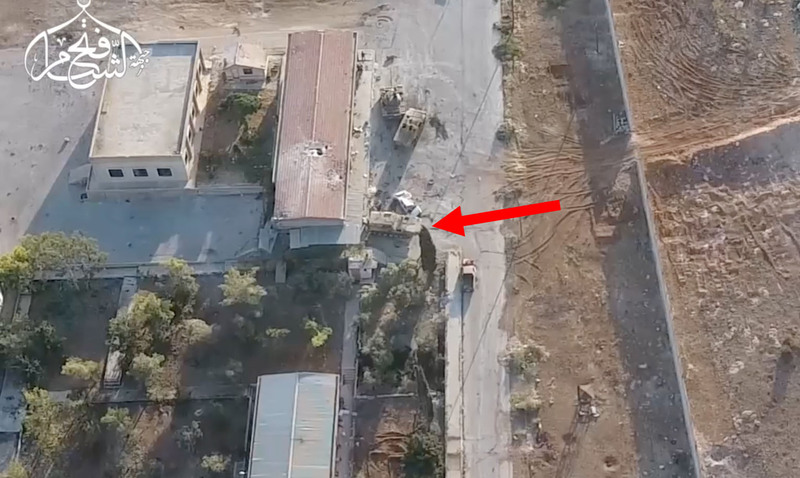 Suddenly a BVP-1 AMB-S field ambulance is seen (red arrow). Assad and his allies use this vehicle as an armored personnel carrier. It’s backed up against the building in order to let men out through the two rear doors. Then we see the BVP-1 AMB-S arriving. Note all the craters. Those are from the completely worthless mortar fire from the Levant Conquest Front. The Islamists are simply wasting ammunition while better men win their battles for them. 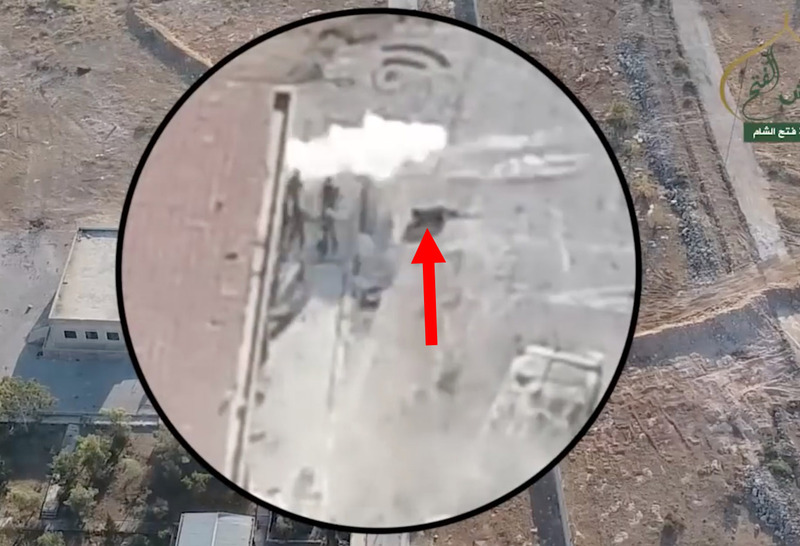 While the BVP-1 AMB-S pulls up to the building, we see a mortar round explode far away. 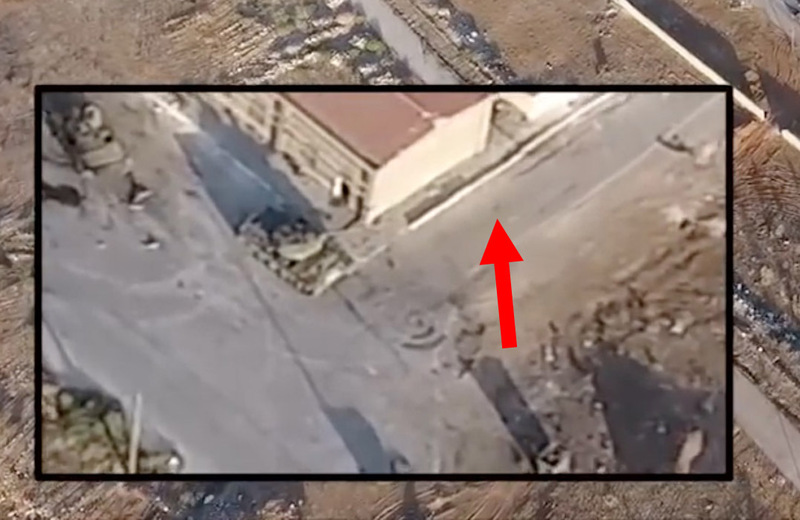 Before the BVP-1 AMB-S joined the party, an unknown munition nearly struck the T-72 tank peeking around the corner. The signature is completely foreign to me. 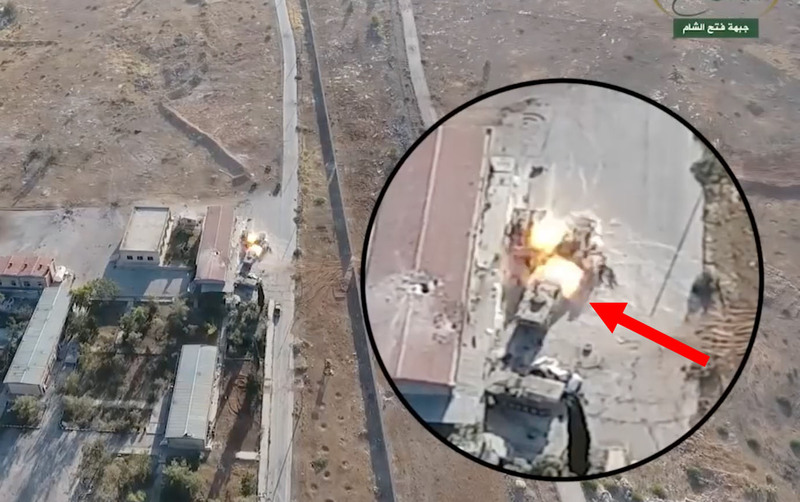 After the first munition hit, an identical weapon disabled two BMP infantry fighting vehicles (IFVs). 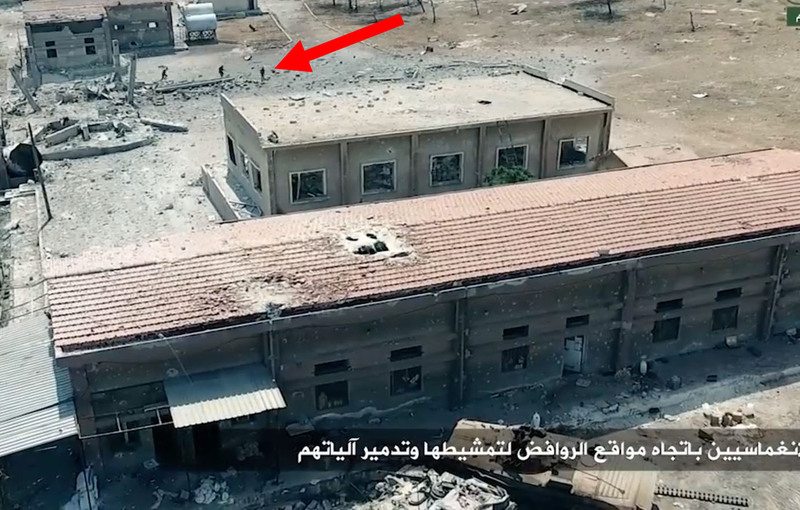 Note that now, the BVP-1 AMB-S is facing toward the building. 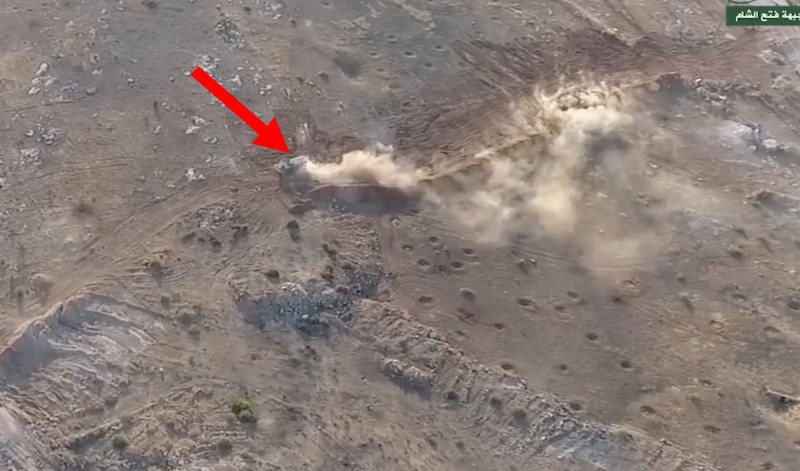 The video shows as many as four separate Hezbollah attacks. After the second munition disabled the two IFVs, the tank moved them into position for a recovery vehicle to come and haul them away. Hezbollah fired rocket-propelled grenades (RPGs). Nobody collected the bodies of the dead. Then the clowns and jokers put on a show for the record books. The Levant Conquest Front began firing mortar rounds randomly again. 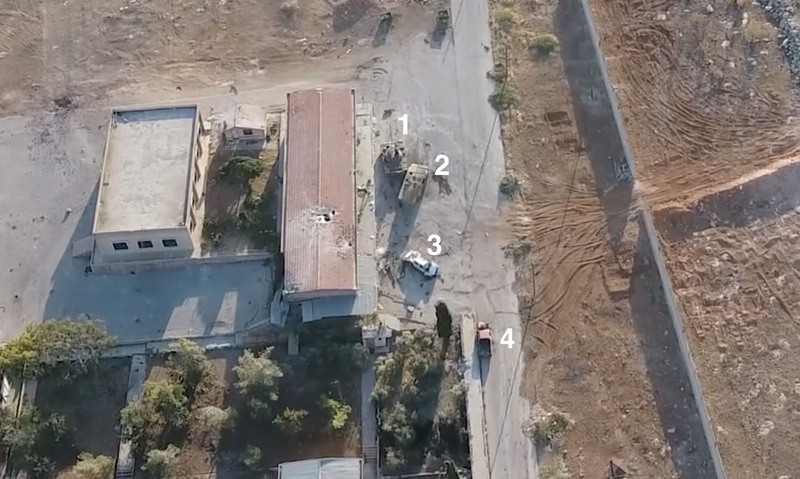 Each screen grab shows different Hezbollah vehicles at the Aeronautical Technical College. A mortar round hits. 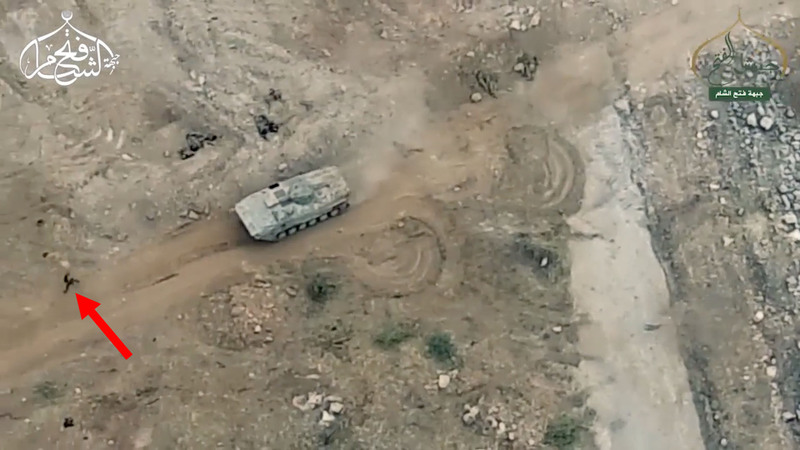 On the left we have one BMP infantry fighting vehicle and a recovery vehicle. Another mortar round hits. 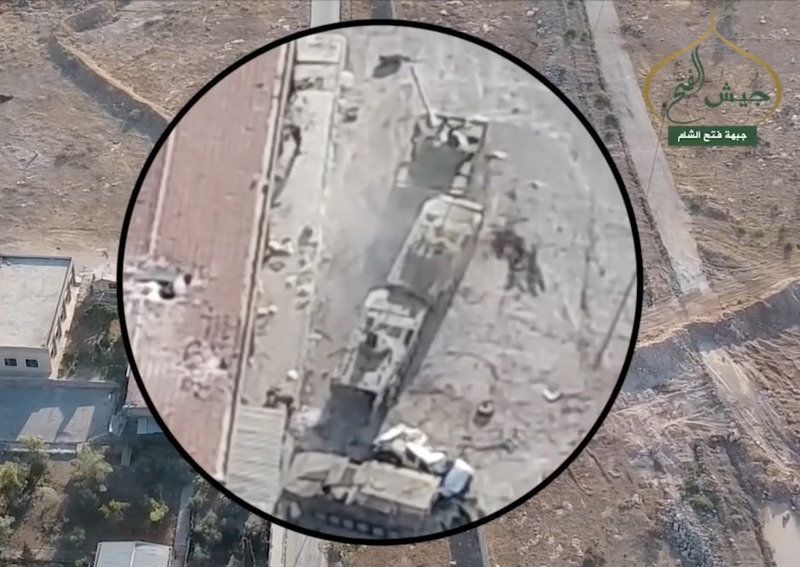 At the building is a BVP-1 AMB-S and a T-72 tank. 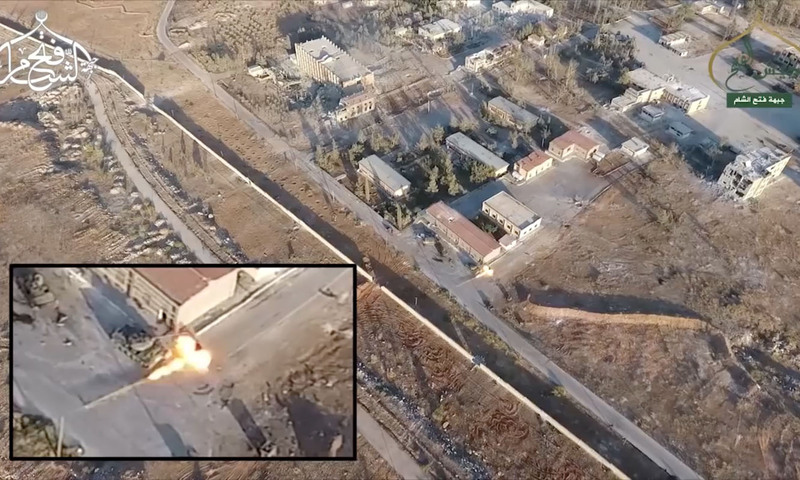 Third, mortar rounds hit all over the place. 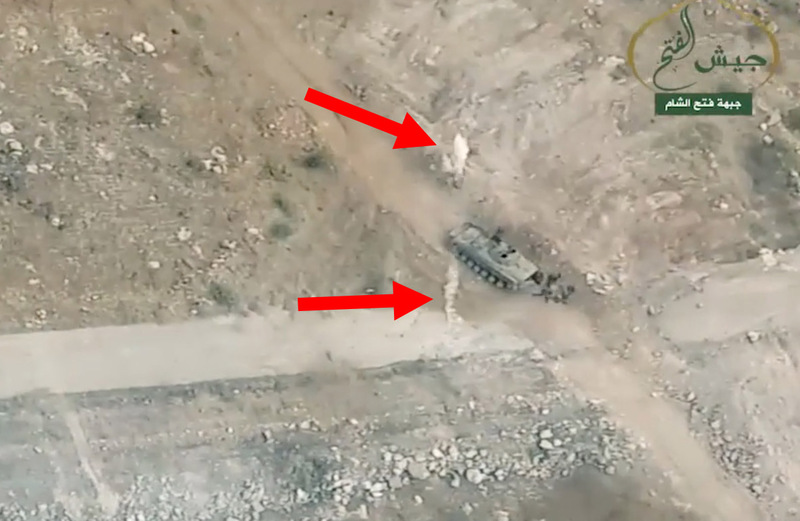 Finally, a T-72 tank flees, leaving behind two BVP-1 AMB-S field ambulances. Hezbollah has no military skills. 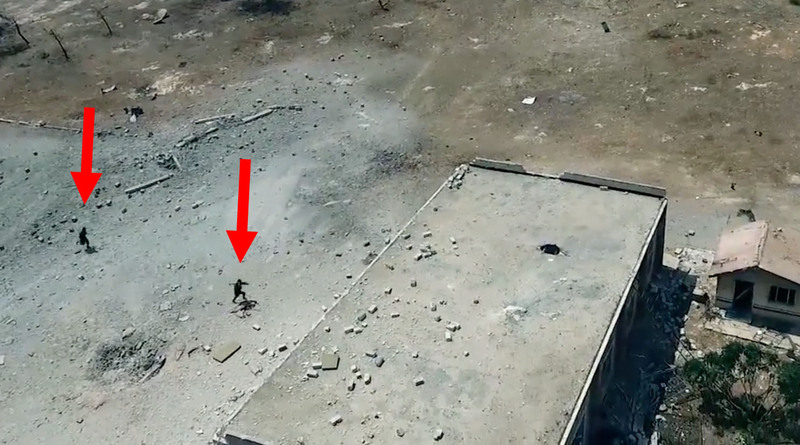 I’ve never seen worse soldiering than in the video below. Some of it is moderately gruesome, so prepare yourselves. 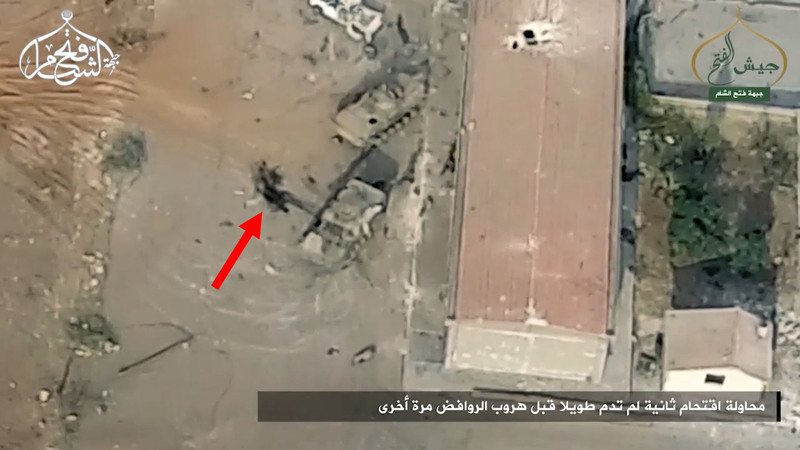 Hezbollah launches three more futile attacks on the Aeronautical Technical College. The Levant Conquest Front had nothing to do with what happened. 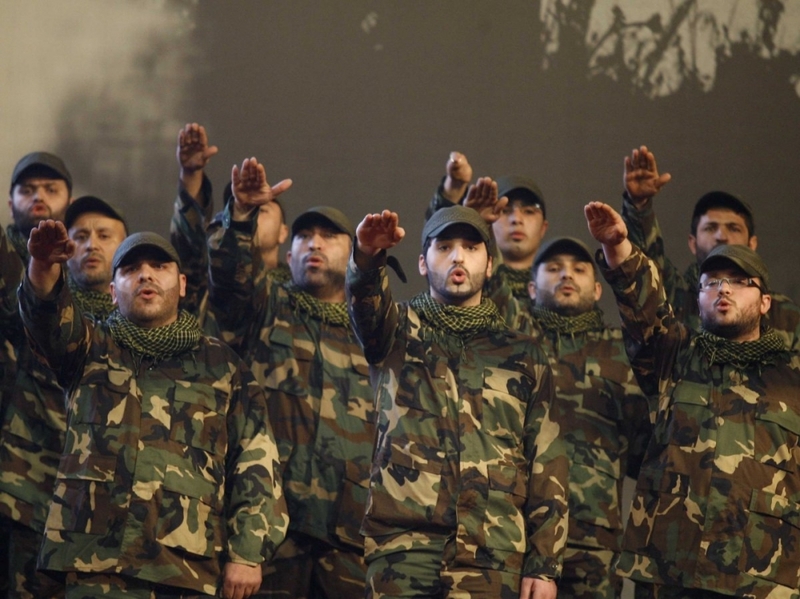 Arab League and allied professional strategic special operators sent the Lebanese Nazis to hell. First a BMP infantry fighting vehicle unloaded a squad of Hezbollah fighters in front of the college. The vehicle turned around, thus sending the men into a storm of bullets. Then the BMP driver panicked and abandoned the men. It appears that the entire squad died. Pointlessly. 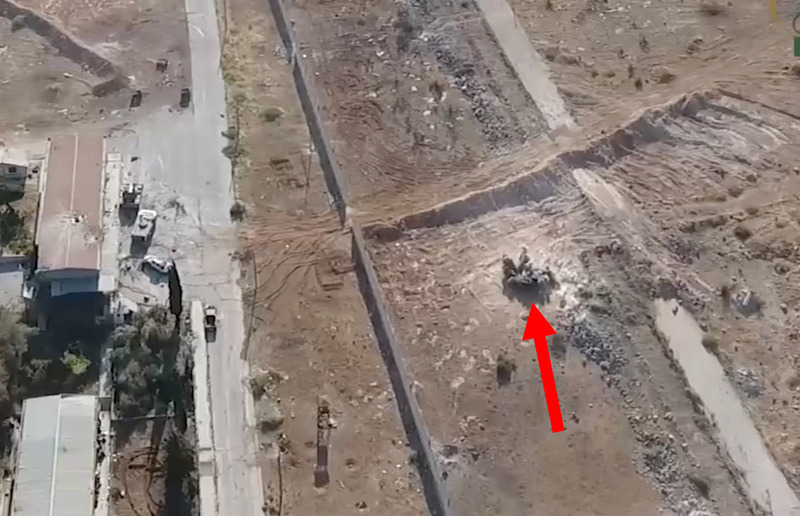 A cretin of the Levant Conquest Front fired an RPG into the ground nowhere near the doomed Hezbollah fighters. 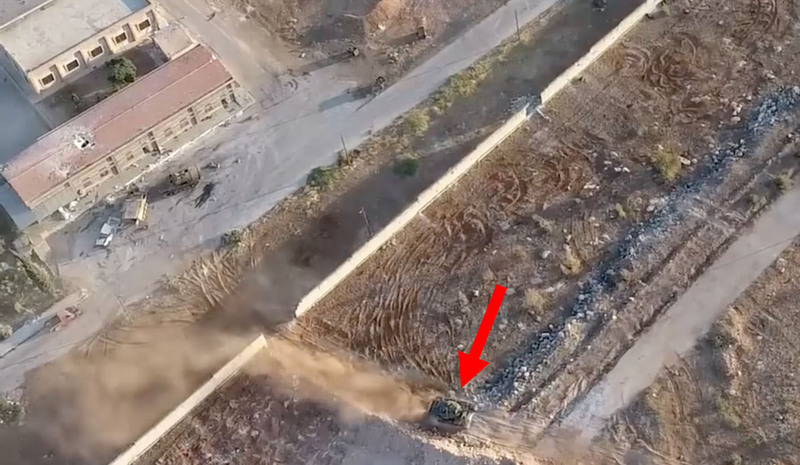 A BMP came to rescue the Hezbollah survivors, but again the driver panicked. The IFV drove over the dead and refused to pick up the living. One man ran in the direction of safety. All the others died. Do you know why? 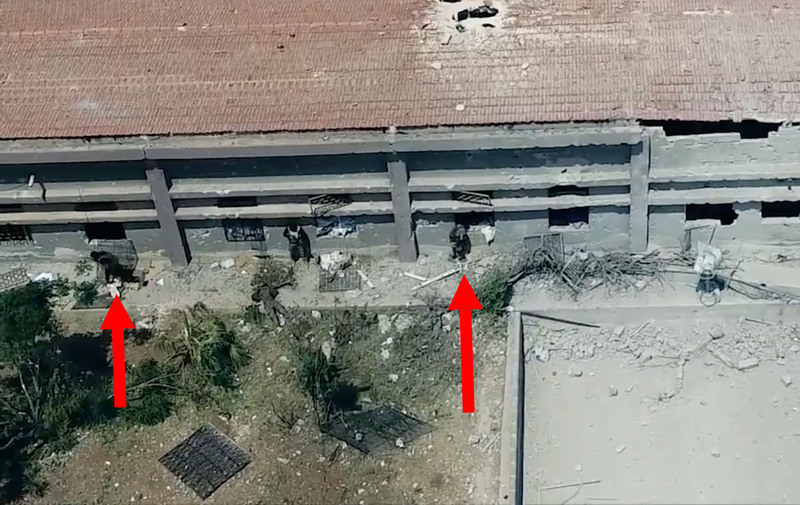 Because Arab League and allied strategic special operators were out in front of the school. They fired from all directions. Hezbollah didn’t expect that. 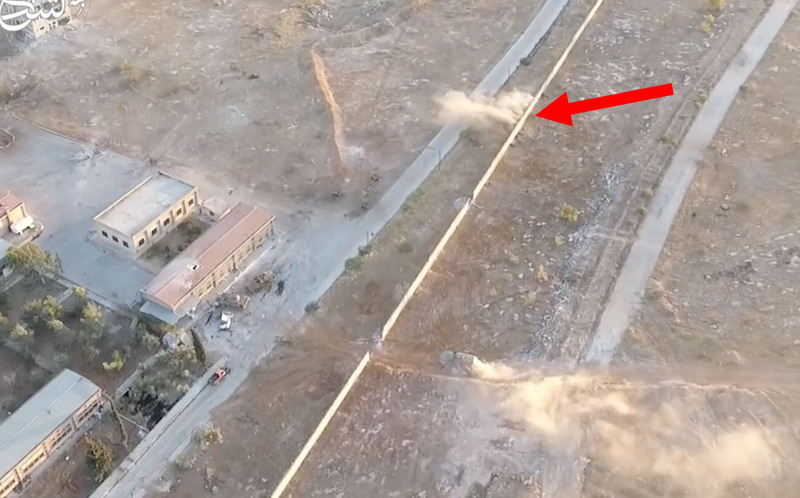 It’s unbelievable to me that even with Russian and Syrian air power, Hezbollah got butchered. They’re just cannon fodder. I wonder how the Lebanese feel about that? 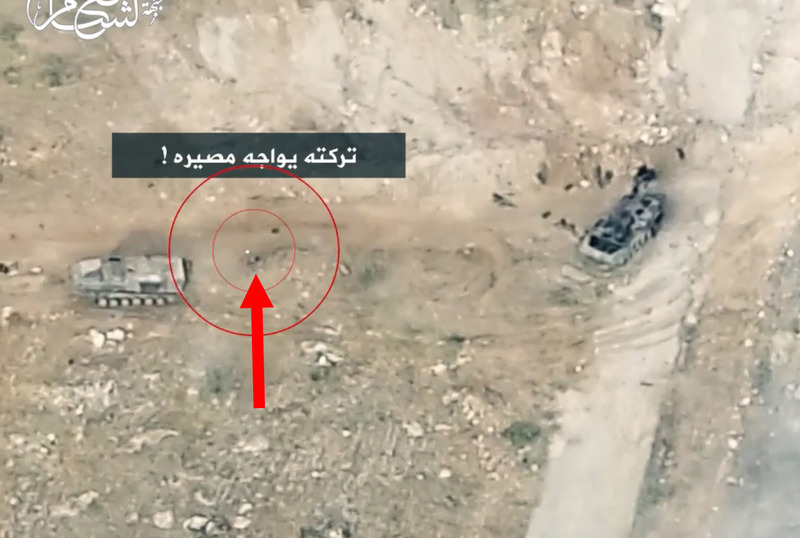 Now a BVP-1 AMB-S unloads a squad of Hezbollah fighters, next to a knocked-out BMP and a pile of burnt corpses. 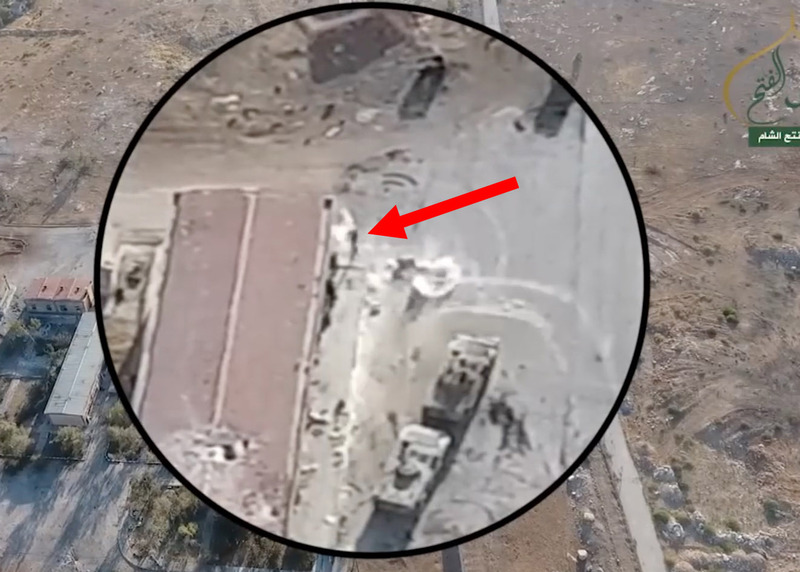 At some point an antitank guided missile destroyed a BMP that had stopped beside the bodies of the men who died earlier. The IFV is completely wrecked. The turret and multiple panels came off. 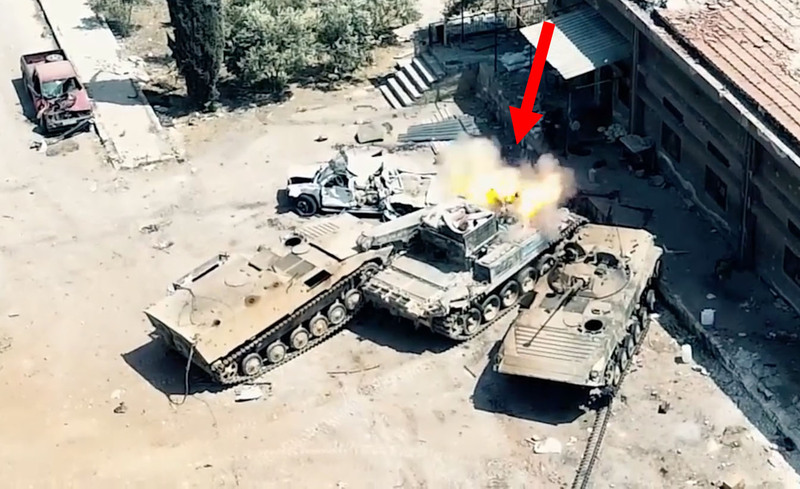 Nobody inside that BMP lived. Four armored vehicles and a column of infantry retreat under fire. 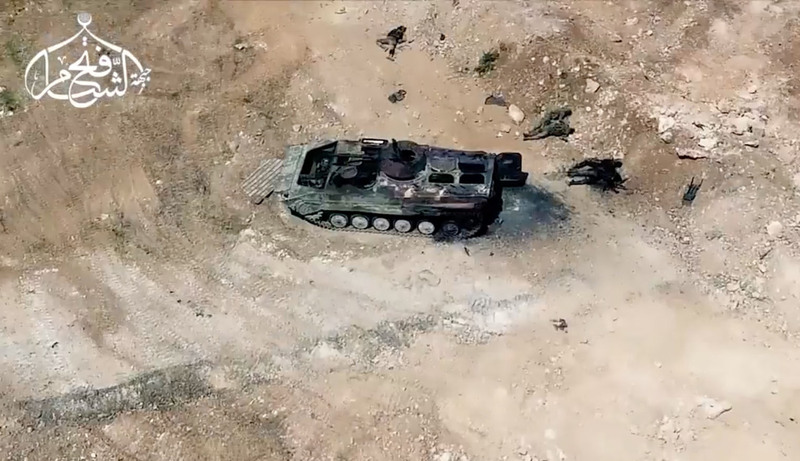 If you have the stomach for it, you can watch the armored vehicles running over their own dead and wounded. I have to warn you that you’ll see a lot of very flat humans. And now that the professionals have won the battle, the childish poseurs of the Levant Conquest Front come in and play Cops and Robbers. The real commandos engaged Hezbollah at close quarters. 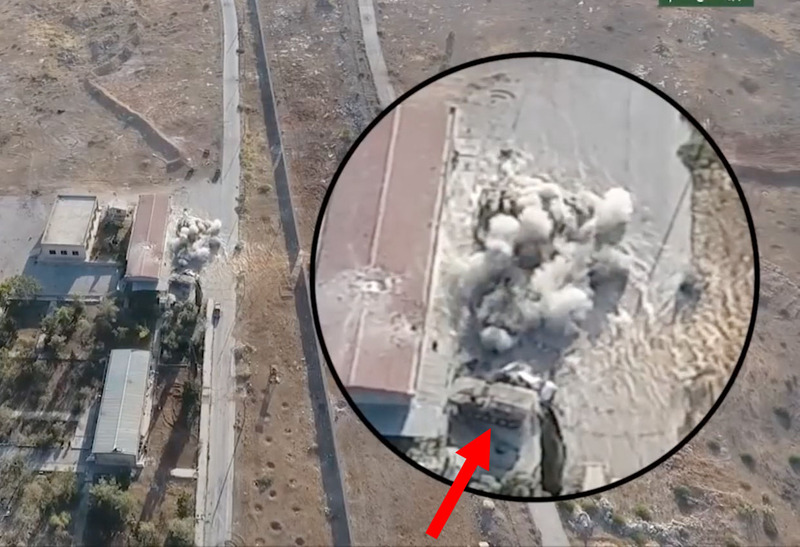 Below you see Arab League strategic special operators killing everyone in the building with a shoulder-fired fuel-air explosive. When the Levant Conquest Front actors arrived, the enemy was dead or had run away. These imbeciles go in front of dark windows without knowing who’s inside the building. Then they drop a thermite grenade into a recovery vehicle that had already been destroyed. 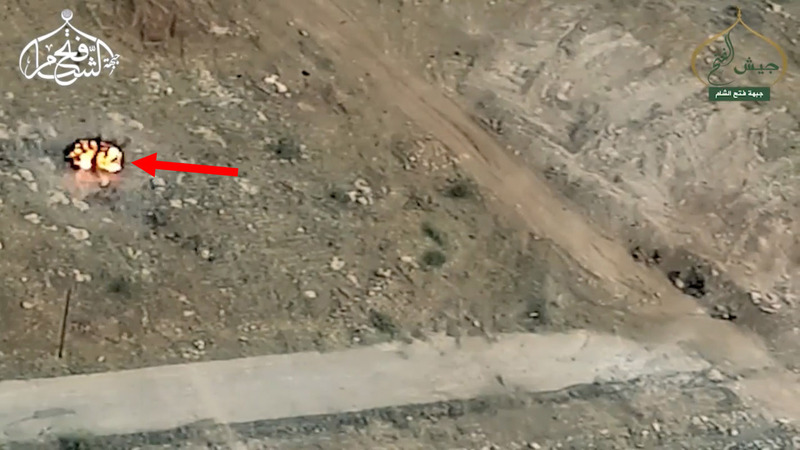 Finally another Hezbollah rescue attempt goes south when the BVP-1 AMB-S driver panics and leaves behind a survivor. What happened to all this? Things are different when you’re actually in combat with someone who’s trained and fearless, huh? Pretty easy to threaten civilians, but professional soldiers are a different story. Some people have to be killed and flattened. Not many, but some. The Turks who invaded Syria are next. This article viewed 43863 times.